At the links below, we've assembled maps of the City of Hart area, for convenient download or website visit. Please let us know if there are any other maps you need. You might also visit our Forms, Publications and Links page. Hart is a city in the U.S. state of Michigan. The population was 2,126 at the 2010 census. It is the county seat of Oceana County. The city is located within Hart Township, but is politically independent. 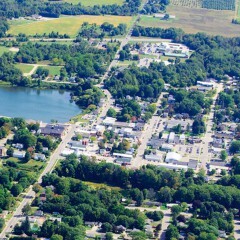 Hart was named from its central position in the "heart" of Oceana County. According to the United States Census Bureau, the city has a total area of 2.07 square miles of which 1.91 square miles is land and 0.16 square miles is water. As of the census of 2010, there were 2,126 people, 757 households, and 478 families residing in the City of Hart.